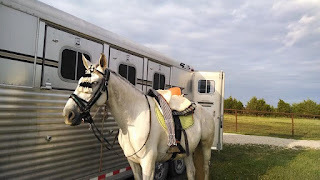 I’m going to kill two birds with one stone in this post -- review some of my favorite tack and pimp my friend’s business. As you may know from reading prior posts, I have a saddle pad addiction. The struggle is real, ya’ll. 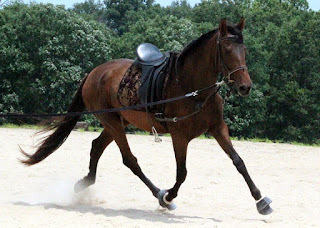 Coming in a close second after my favorite HighPoint saddle pads are the baroque patterned pads from Old Stonehouse Farm (OSF). OSF is owned by my friend Sarah, who I met through our mutual love of Iberian horses. Sarah has a lovely farm in Pennsylvania and breeds top quality horses. I was lucky enough to be able to visit her in 2012 when I was on the East Coast for the Olympic Selection Trials. It’s no secret that I’m a cheapskate. I love buying stuff used off of swap sites or on deep discount from TOTD. Sarah’s pads are some of the only ones I am willing to pay full price for without any quibbling because the quality is next to none. DH bought me my first pad (purple/gold) from OSF for a Christmas gift when I first started taking lessons a few years back. 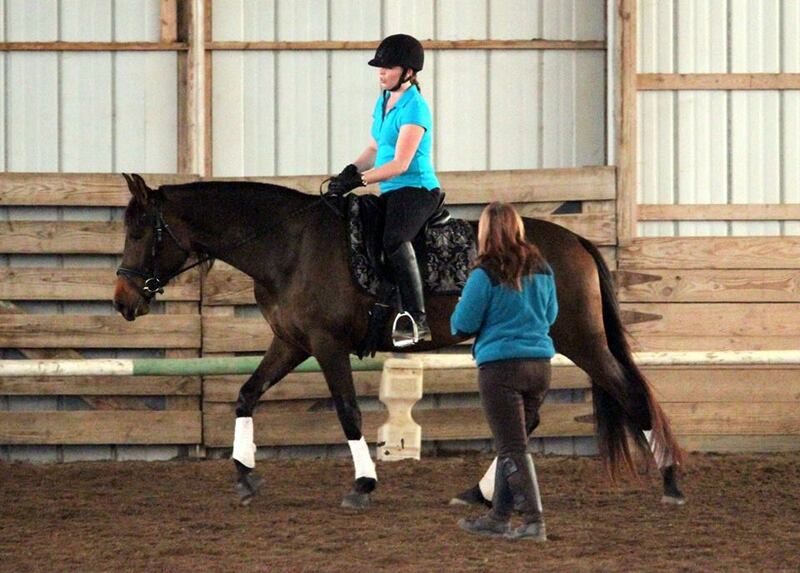 The following winter, when I first boarded Topaz out to use an indoor all season long, my baroque pad went with. I rode 4+ days a week for close to 6 months without washing it -- in my defense, she wasn’t working hard or sweating much, but still gross, I know. 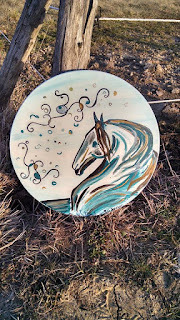 When I brought Topaz home, I tossed the pad in the washer and voila -- like new when I pulled it out. 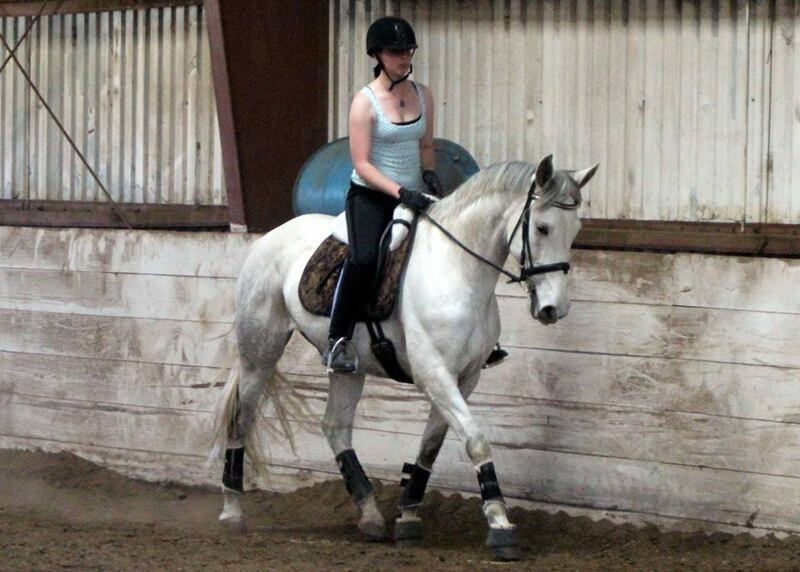 Sarah stocks both normal dressage cut pads as well as swallowtail pads. As a lover of all things weird and wacky for my dressage ponies, obviously I needed a swallowtail pad. I stuck to black/silver with that one, hoping it would look really sharp with all my dressage tack, and I was not disappointed! Seriously I can’t say enough good things about these pads. They are durable and cushy, and pretty to boot. 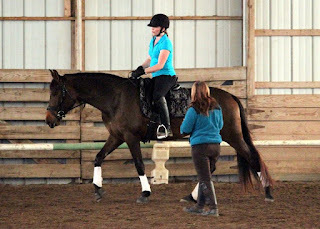 I use mine in everything from everyday schooling to schooling shows to clinics, and I *ALWAYS* get compliments on them. Always. At the first clinic I went to, one of the people watching loved it so much she tracked me down after my ride and I gave her the website so she could order her own. I have my eye on two more of the pads (a red one and a cream one) to match some of my blingy browbands -- maybe I’ll splurge this Christmas! The mosquero (we were working cows, haha). 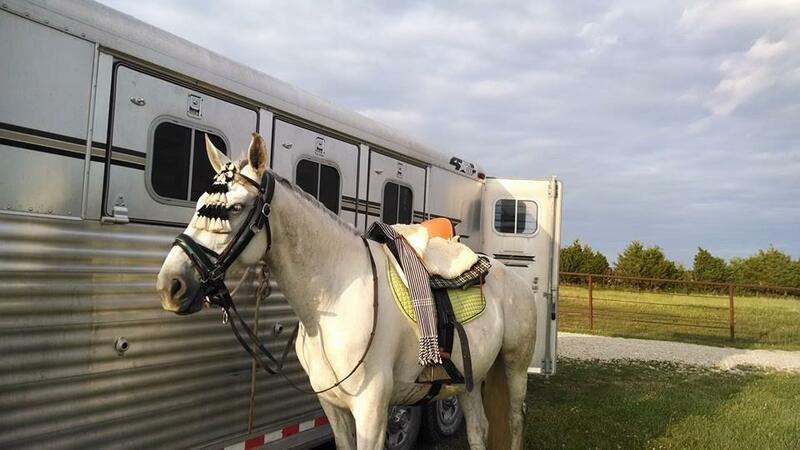 Besides amazing saddle pads, Sarah also carries some traditional baroque tack as well as some of the fun parade-style stuff decked out in silver. I have two mosqueros from her as well as well as one of the “Lancelot” bridles. The quality of her items is GREAT! 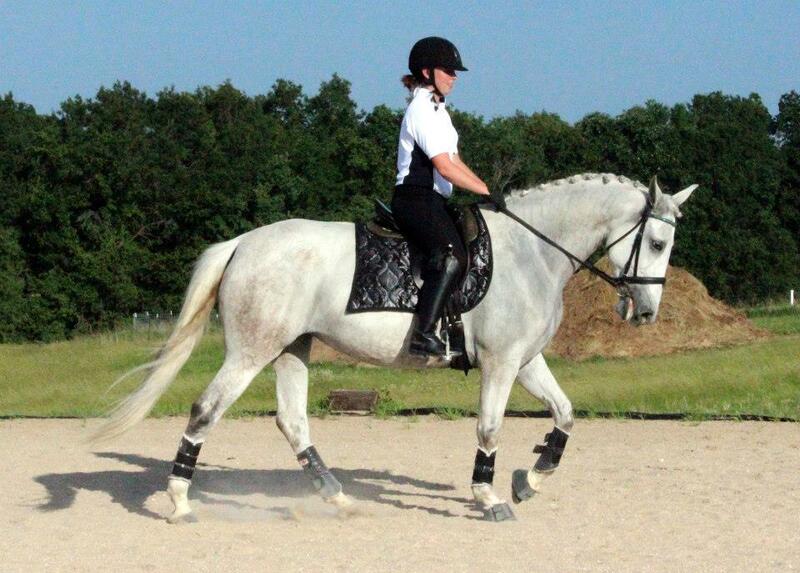 I’m secretly (or not so secretly, haha) lusting over one of the “Moderna” bridles to go with my doma vaquera saddle. 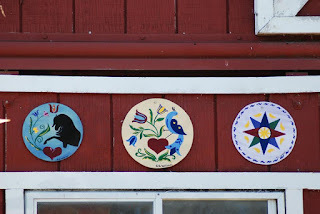 She also hand paints traditional hex signs, which are a beautiful addition to your barn! 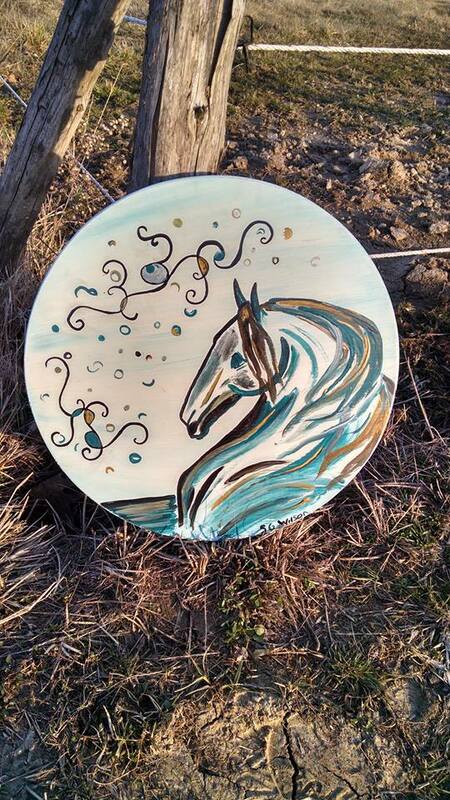 Hex sign in teal - our farm color! 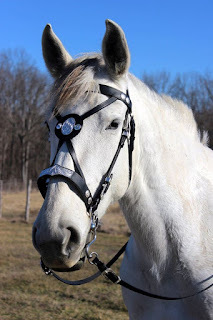 Topaz modeling the stunning "Lancelot" bridle. 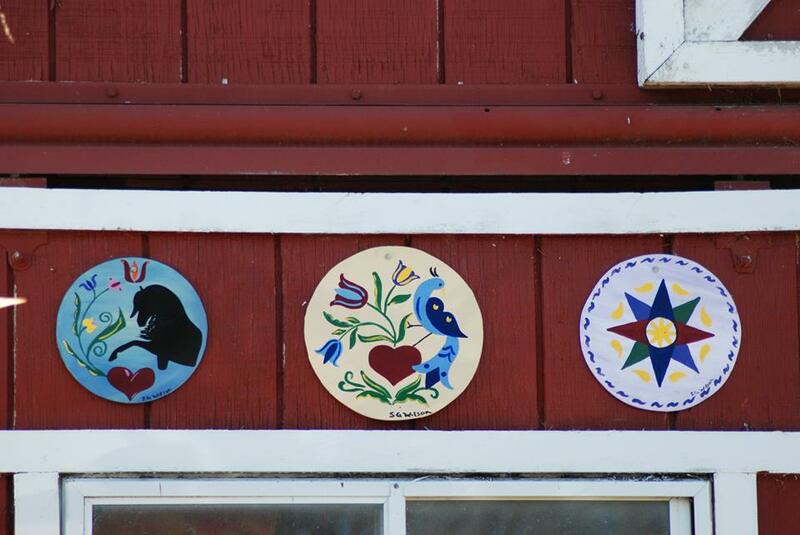 A photo of some of the hex signs she's created from the OSF Facebook page. A sampling of the color patterns available on the OSF website. There are more! I basically love the swallow tail pads!!! Me too, I'm kind of obsessed! 😁 I can't wait to get more!